Qigong , working with the Qi (life energy), is commonly known as furthering overall health. – However, its underlying idea of Yangsheng – nurturing of life force or short: care for life – does not automatically distinguish it from other systems of caring for health, movement methods or other forms of (therapeutic) breathing techniques. Up until today, there are not any scientifically founded long-term studies which establish a targeted effectiveness of Qigong for specified diseases. There is also no evidence hinting at an increased efficiency of especially designed sets in comparison with other Qigong-sets on the one hand and totally different sets of movement exercises, which do not even form part of the Chinese tradition, on the other hand. It has to be added that a targeted efficiency of Qigong exercises, which is limited to special disease patterns or single symptoms, would conflict with the comprehensive systematic of Traditional Chinese Medicine. Furthermore, these effects would be difficult to prove by means of traditional scientific methods. Therefore, for the time being we are left with the general observation that movement – which could as well take the form of a walk in the woods – may further well-being (“A rolling stone gathers no moss”). – Co-ordinated movement might in addition change (harmful) movement patterns and poor posture by and by. The co-ordination of slow movement and deep breathing, which is characteristic for Qigong, may lead to a sense of “letting go”, finding tranquillity and may provide one with ideas of how to implement this new-won calmness in day-to-day situations like the handling of an illness or stress in general. Both in journals and on the internet, you can find a wealth of personal statements of practitioners who – either self-motivated or encouraged by their teachers – describe their positive experiences and attribute healing or mitigating effects to their personal Qigong practice. Especially life with a severe or chronic illness like cancer, Multiple Sclerosis or Parkinson’s disease, but also burn-out syndrome and depression may inspire practitioners to reflect the significance of their hobby in the context of their illness. Some teachers are led by these stories into portraying Qigong as effective means to fight cancer or other severe illnesses. Given the positive feedback of many practitioners, this may at first seem to be a usual element of clever marketing. – What must be viewed critically, however, is when a teacher presents him- or herself as a person with access to “powerful exercises”, which in passing transforms the instructor into a healer. The narrative of the power of specific Qigong healing exercises has a long tradition, as the first public presentation of Qigong exercises, which imprinted itself in public memory, was delivered by a woman claiming successful self-healing from cancer who wanted to spread the news. Nevertheless, all such claims of healing and self-healing and especially the direct connection to a specific set of exercises should be approached with caution. – It is often a game with hopes and fears of vulnerable people. The positive effects concerning physical and mental illnesses, which are repeatedly reported by practitioners, may root in the coordination of body and mind, in tackling the challenging task to concern oneself with one’s own body and learning to listen to its signals. Especially in times of a personal or health crisis, concentrating on the “here and now”, developing mindfulness towards oneself or simply taking regular breaks can make all the difference. Each of these aspects on its own may already prove to be the key for better life quality for individuals trying to cope with adverse circumstances – symptoms may be eased, subjectively and sometimes even measurably. Regarding Qigong course offers which aim at specific disease patterns the social experience is also a point to be considered. Practising in a group of like-minded persons with a similar background concerning the experience of an illness and witnessing the positive example set by the instructor always forms part of the subjectively felt effect of the health exercises themselves. Also, reviving these positive feelings at home while practising may add to a sense of self-empowerment, which is crucial in dealing with the challenges of life. 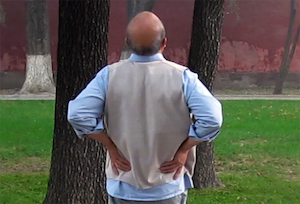 Sometimes these social and personal effects on one’s own attitude are attributed to Qigong in general or to a specific healing exercise in particular though there is not any objective proof for this connection. The secret of Qigong might simply be to bring things into movement, it may manifest itself in the sense of self-empowerment and in the possibilities of change it may contain. – But obviously, this is only another guess. So, if you face health problems, do not force yourself to do Qigong, because somebody tells you that exercise X will relieve problem Y. There simply is not any proof for that. The secret may just be to find something you really like to do, to start something new, to find a new way to love life. 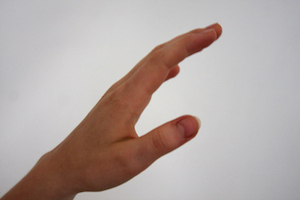 If Qigong is for you – fine! Qigong may be an interesting journey with a big promise of change and growth. If you prefer walking in the woods, hiking, swimming, painting, cycling, crocheting, … if you feel an urge to work out or to be creative – go for it! There is not any reason why that should not prove to be your unique way towards healing. Yangsheng – the care for life – may take many forms. Qigong is only one of them, not better, not worse than others. The choice is yours. The ultimate secret is in doing it, wholeheartedly and with all your soul!